SS501’s Kim Hyung Jun revealed the photo from the last shooting at the filming set. 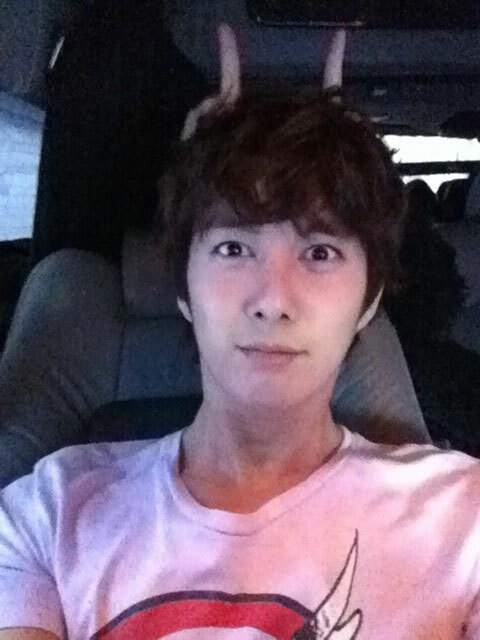 In the photo, Kim Hyung Jun sat in a car, the hair was slightly curled, wore a pink-color t-shirt, and stared at the camera. Some unknown person who sat behind him jokingly used the fingers to pose as horns on the head of Kim Hyung Jun, attracting attention. Netizens said, “Come to live at my house,” “Kang Min lives with me,” “You’ve a long day,” “Cheers Glowing She,” and so on.